Halloween is creeping closer and closer, which means that it’s time to get spooky. And, what better way to celebrate pre-Halloween than dancing to some intense bass lines from over 75 artists that will have no mercy on your soul? Enter if you dare: Insomniac Events will be holding the largest two-day Halloween music festival in Southern California on Friday, Oct. 27 and Saturday Oct. 28 at the NOS Events Center in San Bernardino, Calif. This year will be the seventh anniversary of the electrifying EDM festival. It will feature a brand new Slaughterhouse (mainstage) where uprising artists, along with the heavyweights of EDM, will provide the soundwaves for the souls and ghouls to shake to on the dance floor. Friday’s Slaughterhouse lineup consists of massive names such as Illenium, Marshmello, DJ Snake and Madeon. On the same night, Bassrush will host the Ghoul’s Graveyard with Flosstradamus, Datsik and Nero providing the tunes for the soon to be dead. Basscon, on the other hand, will host the Chopping Block on Friday night and will provide faster and harder BPMs, like Darren Styles. 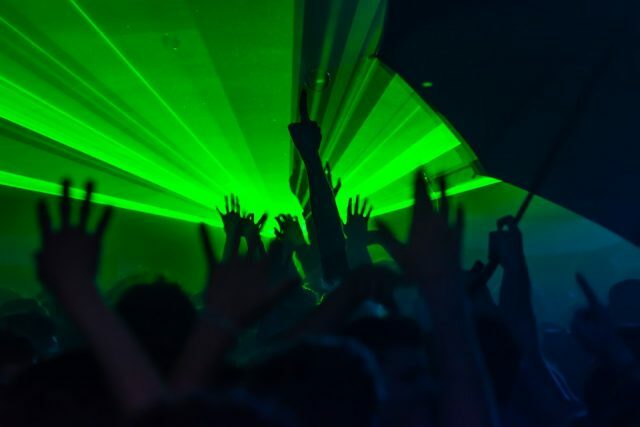 The Factory 93 will take over Cannibal’s tea party with sounds such as those of Green Velvet. Saturday will be a deadly one with Tiesto, Afrojack, Slander and many other DJs taking over the Slaughterhouse. The equally impressive lineup at Ghoul’s Graveyard will feature tech-house legend Eric Prydz, the future house sound of Don Diablo and the well-known Zedd, as well as the electro-house beats of Firebeatz. Audiotistic will be hosting the Chopping Block on Saturday, with acts such as Slushii an Baauer performing. Chris Liebing and other tech-house artists will take over the Cannibal’s Tea Party, hosted by Factory 93. EDM headliners from all over Southern California will be taking part in this celebration, and there’s no better way to escape reality and celebrate Halloween than to join the Psycho Circus. Single day tickets, along with VIP (21+) tickets are still available, for those who dare to enter on Oct. 27 and Oct. 28. Doors open at 4 p.m. and the event ends at 2 a.m.